Since the polar vortex here in Northeast Ohio, many homeowners have concerns about the pipes in their homes. 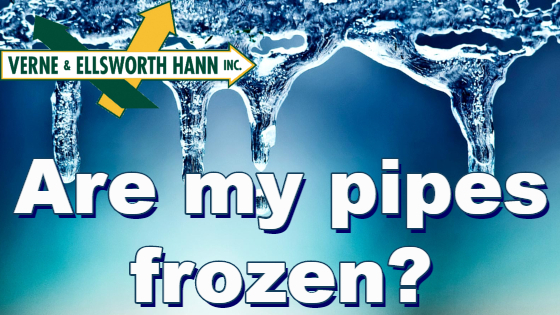 Here at Verne & Ellsworth Hann, we’ve had our fair share of calls regarding frozen and burst pipes. Here are 4 signs your homes pipes may be frozen. Frost on pipes: You may be able to see frost on the exterior of exposed pipes, like those under your sinks. No water coming out of faucet: If you turn your faucet on and there is no water or very little water coming out, you most likely have a frozen pipe. Water leaking from ceiling, wall or in the basement: This is a sure sign that the pipes have frozen and burst. Water expands when it freezes which causes pressure on pipes. The pressure can cause leaks or cracks. A bad smell from faucets or drains: If a pipe is blocked, the odor will come up through your faucets or drains. If you experience any of these signs, call Verne & Ellsworth Hann immediately. Always take precautions, such as turning your heat up, leaving faucets running, and opening cabinet doors to expose pipes to heat. Located in Cleveland Heights, Verne & Ellsworth Hann has been a leader in heating, cooling and plumbing for over 64 years. 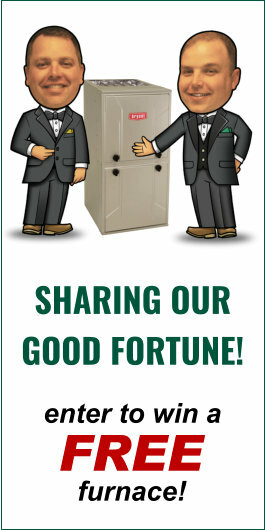 Owned and operated by Bill and Chris Hann, Verne & Ellsworth is the ONLY Hann family owned HVAC and plumbing company in Cleveland.